I had tried making an oat-free version of these chocolate chip oatmeal cookies by simply leaving out the oats. Alas, the dollops of cookie batter spread and fused together as they baked, becoming flat and crumbly. Thankfully, there was still some batter left – I’d only used half of it for the attempted cookies – and I baked the rest as muffins. As muffins, it worked out beautifully. I’ve now made this recipe multiple times, and every time they’re a big hit. Sometimes I make double batches. With their buttery, cinnamon spiced flavour I imagine these would also make excellent banana muffins. (I’ve noticed that cinnamon seems to enhance the flavour of bananas, including these pancakes.) I’d mash 1 or 2 bananas, depending on size and ripeness, and mix it into the batter. Possibly baking for a further 5 minutes, due to extra moisture from the bananas. The cookies recipe that this is based on uses millet flour instead of quinoa flour. 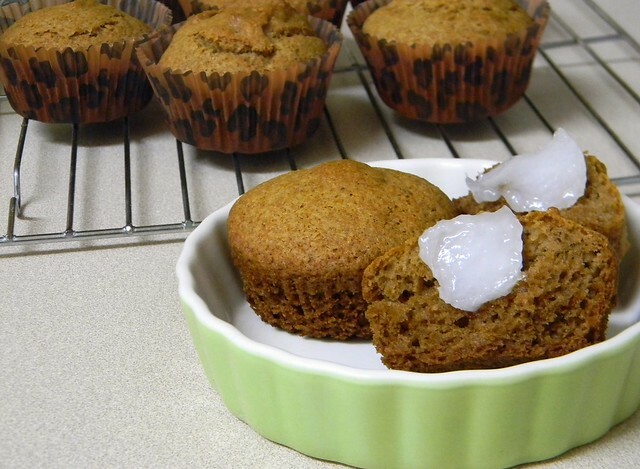 Quinoa flour has a grassy, earthy flavour and you can taste it mildly in these muffins. If, however, you’re not fond of quinoa flour or don’t have any on hand, simply substitute it with an equal amount of millet flour. 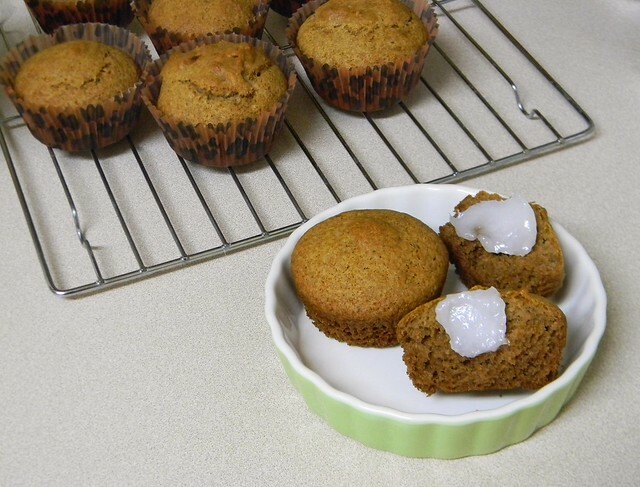 Note: the muffins seem to peel away more easily from the cupcake liner when coconut oil is used instead of butter. And if you want the muffins to have some extra height, as in the muffins rising above the paper liner, fill almost to the top and bake for the same amount of time. Preheat oven to 350ºF. Line 9 cups of a muffin tin with cupcake liners. Mix together eggs, honey, and vanilla extract in a small bowl. Melt butter or coconut oil in a small pot or saucepan over medium heat. Take off the heat and cool slightly before mixing into the wet ingredients. In a medium bowl blend together the cornstarch, brown rice flour, quinoa flour, cinnamon, baking soda, baking powder, and xanthan gum. Pour in wet ingredients and mix until it’s a thick and smooth batter. Divide batter among lined muffin cups, filling each about halfway full (if you want taller muffins, see note above). Use a flexible rubber spatula to scrape all the batter from the bowl. Bake for 20 minutes. 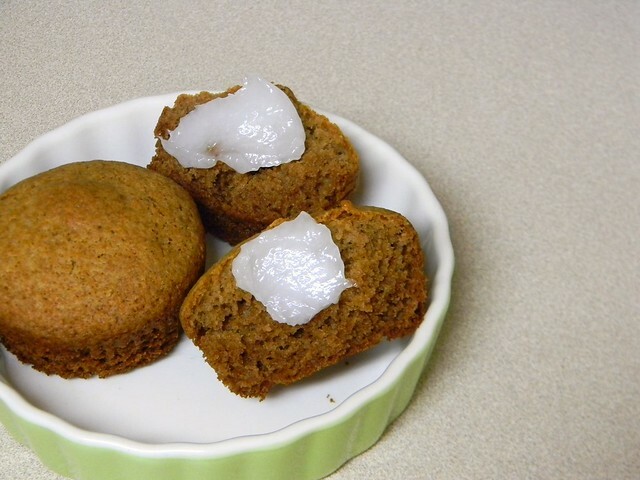 Remove from oven and cool muffins in tin. what a fabulous recipe! yum!